What Is Compulsive Buying Disorder? 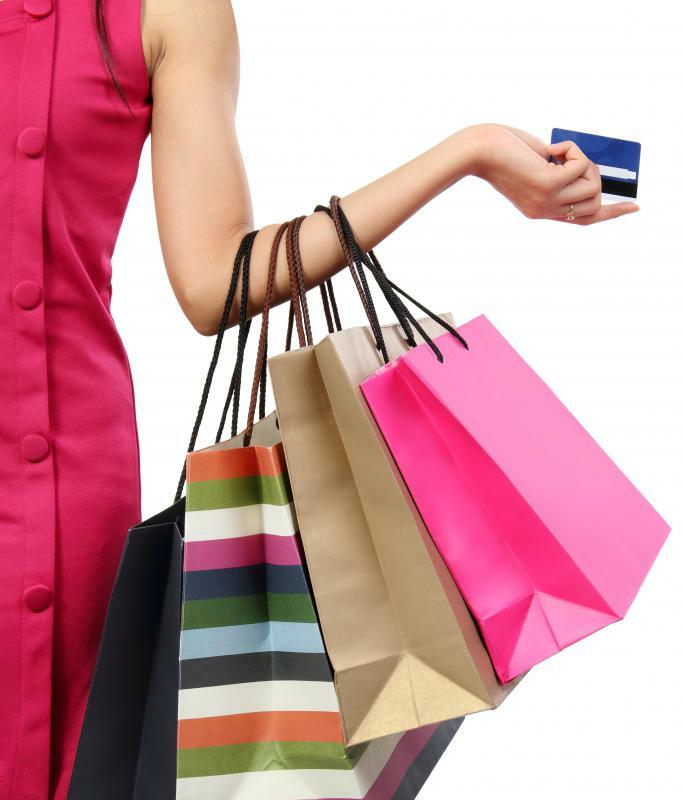 A person with compulsive buying disorder will overspend due to their shopping addiction. Compulsive buying disorder, sometimes shortened to CPD, is a mental illness where people develop an extreme or uncontrollable compulsion to purchase things. Most individuals get some pleasure out of shopping, but people who suffer from this disorder often take their purchasing to illogical extremes, possibly leading to serious problems in their lives. Experts think that the reasons for this behavior are generally derived from the natural human desire to seek pleasure or satisfy emotional needs and that sufferers develop an overblown association between buying things and solving their inner problems. If someone has a bad day, that individual might consider spending some extra cash on some kind of purchase as a way to improve his mood. Over time, the person might get into the habit of doing this every time something goes wrong in his life. Eventually, he will be spending more money than he can actually afford as a way of hiding from the difficult things in his life, and sometimes this behavior gets out of control, leading to compulsive buying disorder. In many ways, this disorder is like a drug addiction, people become dependent on the pleasure they're deriving from the experience of spending money in much the same way that a drug addict becomes dependent on a chemical substance. Some experts suggest that women have a greater tendency to suffer from this disorder than men, and studies have generally supported this idea. The reasons for this disparity are unclear, but some psychologists think it may be related to societal pressures that are more prominent in women. One of the main examples is the extra focus on cosmetic appearance that women have to deal with in many societies. Studies of females who buy compulsively suggest that they mostly purchase products that can improve their appearance in some way, such as clothes and makeup, which could mean that cosmetic anxiety is a driving force behind the behavior. Those who suffer from compulsive buying disorder may suffer a variety of life-changing consequences. For example, if one spouse in a marriage has compulsive buying disorder, it can lead to financial difficulties that could cause relationship problems, sometimes leading to divorce. In other cases, people spend money they don't have and eventually ruin their credit so badly that it's nearly impossible to recover. There are many treatments available for compulsive buying disorder, and some people may respond to certain approaches better than others. Many programs treat it very much like any other kind of addiction, and people may go to group therapy where they can get support from other sufferers. Psychologists might also use antidepressants or other medications to help deal with underlying psychological difficulties as part of an overall therapeutic solution. What is Obsessive Compulsive Hoarding?